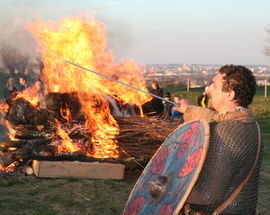 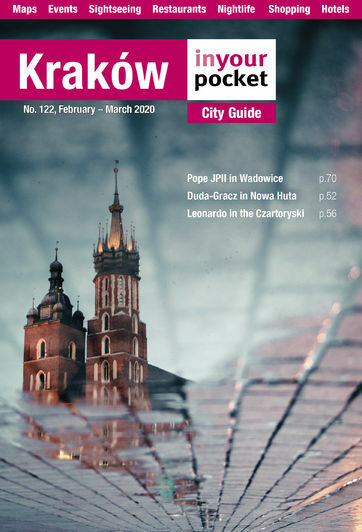 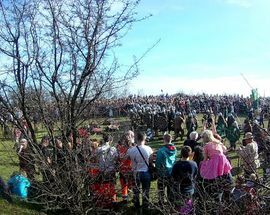 Though today thought of as a Cracovian Easter tradition (celebrated the Tuesday after Easter Sunday), Rękawka actually has its roots in pagan rites of spring, particularly Dziady (Forefathers) - a pre-Christian tradition of communing with the dead, who were thought to be the guardians of fertility and reproduction. 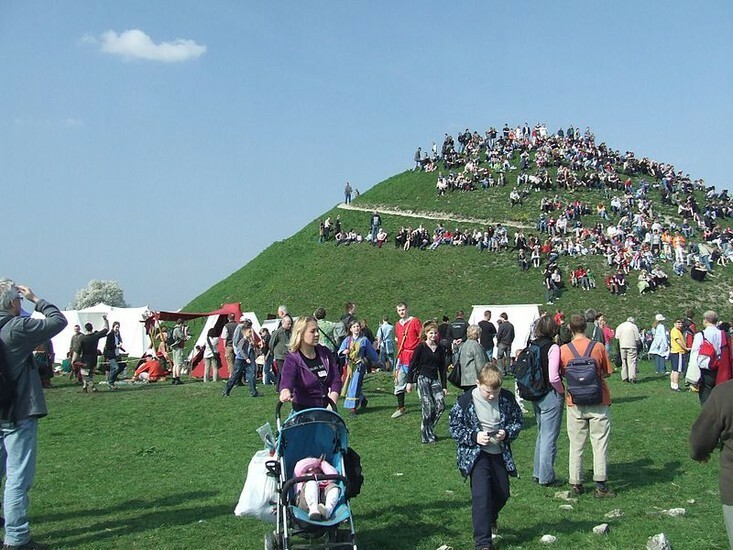 Taking place on and around Krakus Mound - the city's oldest and most mysterious structure - for centuries the tradition apparently consisted of venerating the dead by rolling bread, eggs, bagels and coins down the side of the mound to the crowds below. 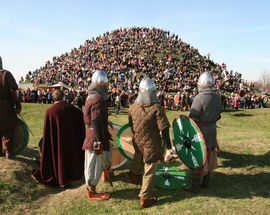 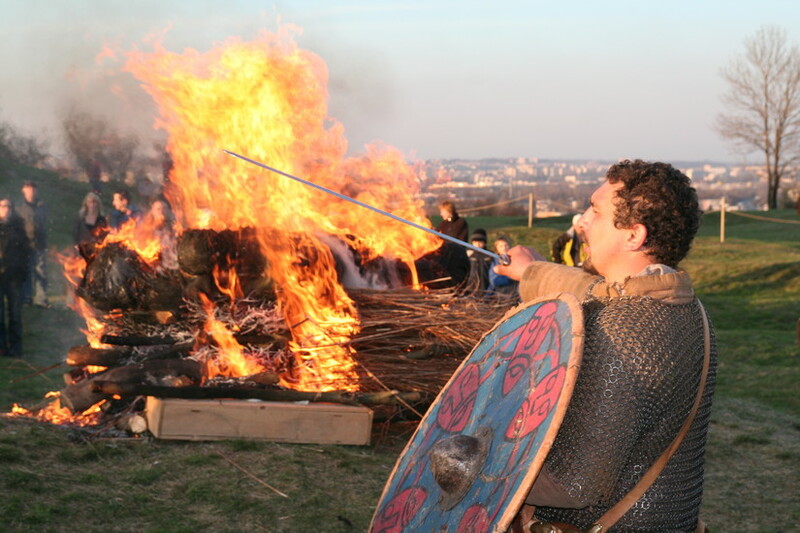 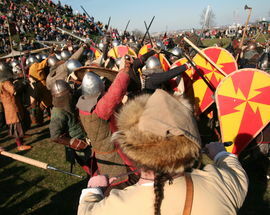 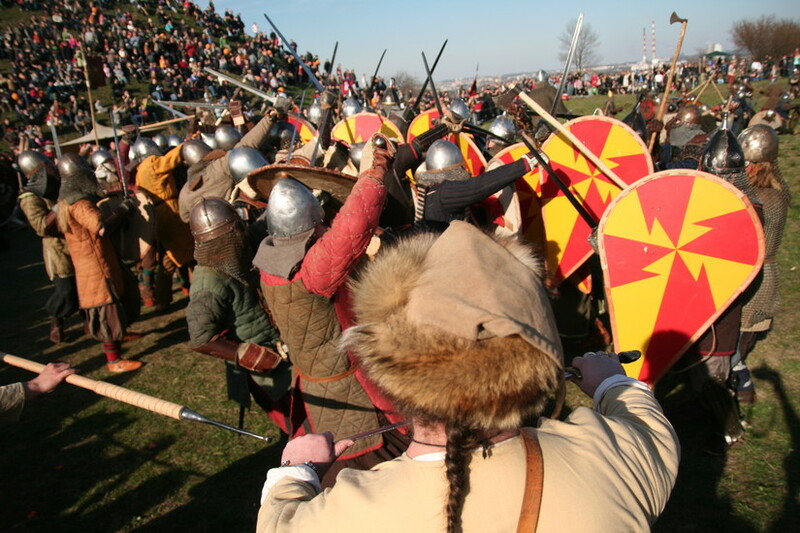 Today the tradition has morphed into a gathering of medieval re-enactors, who travel from across Poland to establish a Slavic encampment around the Mound, which aims for authenticity in the participants' attire, activities, shelter and food (which guests can try). 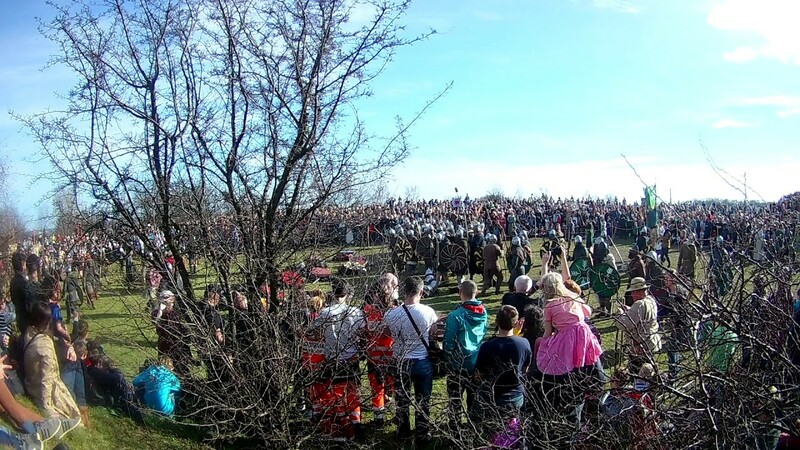 There will be workshops on historical customs and craftsmanship, archery and other historical games for kids, plus historical costumes, goods and souvenirs for sale. 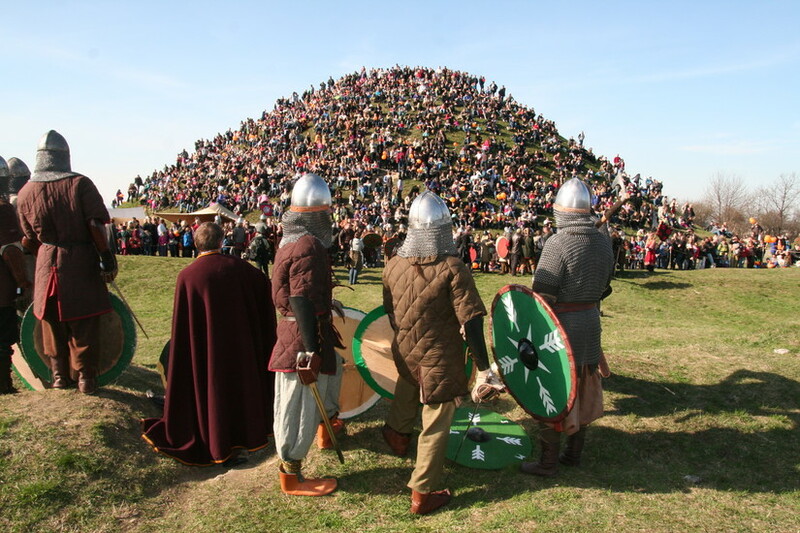 More than just a fair, there's actually an entire programme for the day, highlights of which include the lighting of the Holy Fire (12:00), a medieval warrior run around the mound (12:30), various short performances, plays and concerts (13:40, 14:10, 14:45, 15:00, 15:20), a proper medieval battle (16.00), and a concert of the Hungarian medieval music group Szelindek (17:30). 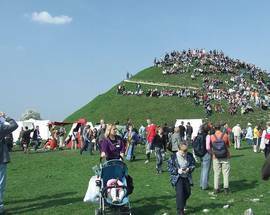 Simultaneously on Lasota Hill you'll find a typical tacky fun fair full of balloons, games, trinkets and a few rides - basically the same vendors and hullabaloo that were at the Emaus Fair the day before.